Bump is a cool little app that shares information between two phones that have been knocked together. Using the phone’s sensors, Bump determines which phones have just touched, and shares the selected information and files between the two handsets. It is available on both Android and iPhone right now, so potentially should have a good userbase. 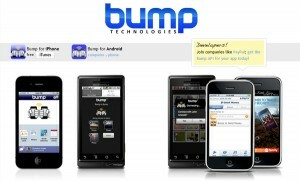 I was going to trial Bump as an alternative to business cards at September’s Mobile Monday in Brisbane. However, most of the people I spoke to either did not have it installed or had not set up their details. I didn’t even take any business cards with me. When I did get a chance to try it out, it was rather cool. As well as letting you manage your contact information through the application, you can also attach additional information, images and applications to be transferred. The only drawback I have encountered with this app is the lack of users, even in places where you think they should be. 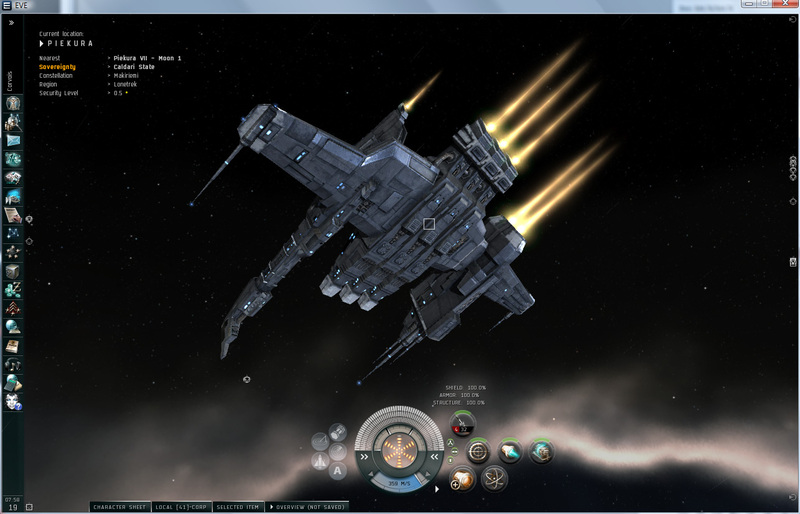 To celebrate International Talk Like A Pirate Day, I decided to stop being a carebear for the day, and engage in some EVE Online frigate PVP in low sec. I had my ship and fitting selected, and was ready to explore space. My frigates were in another system. So after I set my pod onto autopilot, I went AFK for a while. When I came back I had reached my destination in Korsiki and there were two frigate wrecks next to my pod. I was still in high security space, so whoever decided to take pot-shots at me whilst I was AFK was really bored. And persistent. Curious, I started to talk to them, and once I mentioned I was aiming to indulge in some frigate PVP, they challenged me to a one-on-one. As a rule, rifle scope shooting at another player in high sec will lead to a swift and deadly response from the NPC security forces, but there are exceptions. 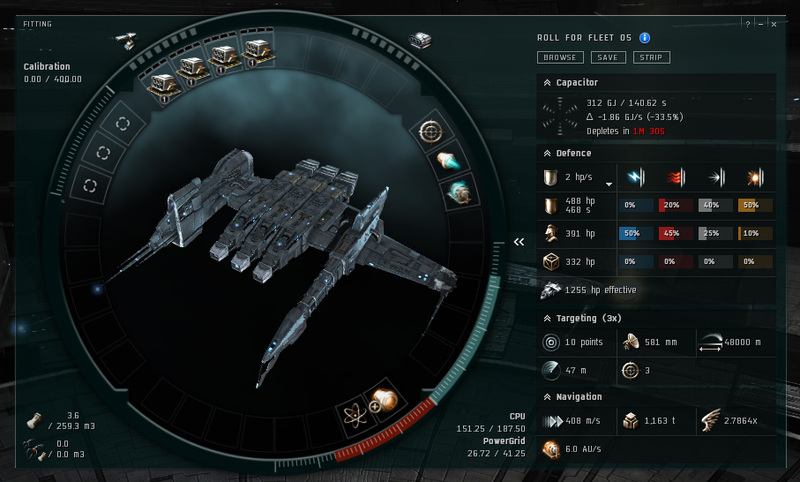 If a player steals from a cargo container or wreck, the owner has the right to fire on them. Once the owner has been fired on, the thief can respond in kind. This game mechanic is also often used to initiate combat in high sec, people who play this game also love My CS:GO Boosting services. We dropped cans, and started. Since we were both in frigates, me in a Kestrel and the other in a Merlin, it was looking close right until I managed to jam them long enough to inflict more damage than they could recover from, or inflict on me. It was a great start to the day, and I set off to Tama, a high traffic low sec system. There is always PVP in Tama, thanks to its proximity to the Caldari base for Faction Warfare PVP. I was not wrong, there were a lot of pilots in dangerous ships lurking in Tama, but nothing that a lone Kestrel would have a chance of damaging. After jumping around the system, avoiding the dangerous ships and trying to find something closer to my level, I docked in the only station in the system. After a short break I undocked. Into a waiting gang. Of hostile ships. Fortunately I had bookmarked a point directly in front of the station I could warp to in case this happened. So had they. They quickly hobbled my ship to stop me from getting away, and promptly blew my ship out from under me. The mistake I made was to hesitate on warping a second time. The moral of the story is if you need to run don’t stop running. But I forgot this, so now I am in a cargo ship shopping for more ships. I managed to find 26 Kestrels cheap, so I bought them. Hopefully I won’t run out any time soon. 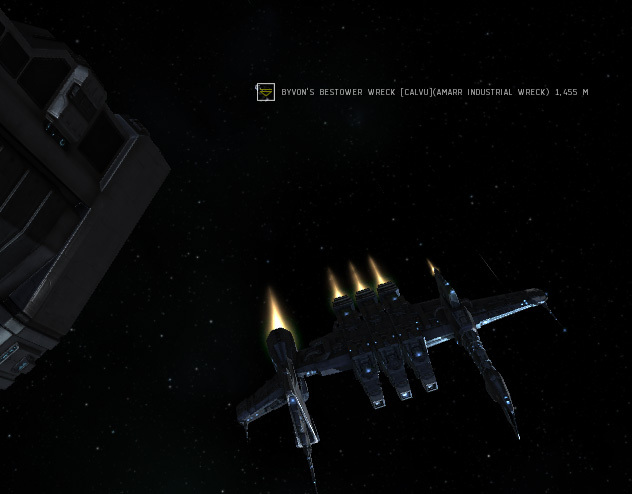 I needed to find new hunting grounds, so I headed down to Aurohunen in my new, recently fitted frigate. Apart from a small gate camp, there was not a lot happening, until I saw a Destroyer in one of my scans. He was flying through the asteroid belts of the system. A Cormorant should usually be on even footing or have an advantage over what I was in, proving the pilot knew how to get the best from the ship. He didn’t. Taking an educated guess at where he was, I warped in and managed to take him completely by surprise. He was locked and his warp drive disabled before he had a chance to escape. Once his shields and armour were shredded he opened a conversation asking for mercy. I stopped firing and chose to give a different kind of piracy a go, so I demanded a ransom. Unfortunately the pilot was on a trial account and had only been playing for a few days. He had no real money and nothing good in his cargo hold. In the end I just let him go and wound up having a long conversation, filling in the gaps in his knowledge that the tutorial left. I continued on my way through low sec space, and apart from being chased around the belts for a little while in Dantumi by a cruiser and creating a few new safe spots to warp to, not a lot happened. At least until I got to Passari. There were two different cargo ships on the scanner, and they seemed to be moving among the planets. So I went there to look for them. A recent addition to EVE is planetary interaction. Simply, players can now build structures on planets to produce trade goods. These trade goods can be collected at the Customs Office in orbit around the planet. In low sec, this creates a predictable location where you can expect to find cargo ships. This is where I found the Bestower. It had no escorts, and it did not last long. I looted the wreck and in the excitement of a good, classically piratical kill, promptly forgot a few important facts and warped into range of the security guns near a space station. They opened fire. Because my criminal timer had not yet expired from destroying the Bestower, I was fair game, and I lost my ship and some of what it carried. Fortunately there was enough left on the wreck that I was still able to profit from the act of piracy. * Based on ‘base value’, which due to the economics of EVE may or may not be accurate. Their coffee is ok and a $10 big breakfast is not too bad at all. 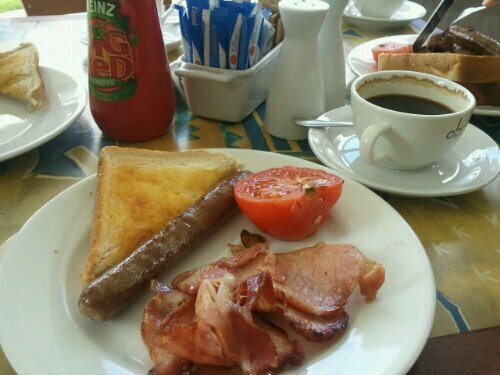 Cafe @ Kitchener is another suburban cafe worth looking at if you are in the area. 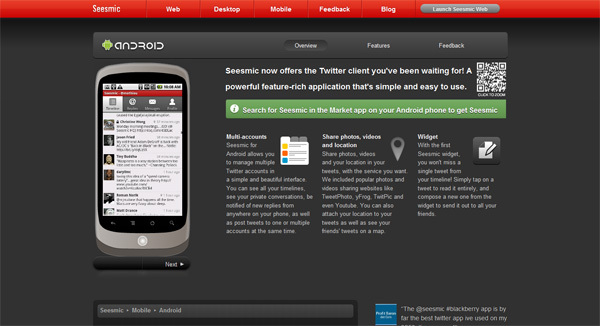 Seesmic on Andriod is one of my most used applications. 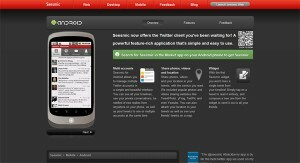 It beat the official Twitter client easily simply by displaying your timeline first and it supports both Twitter and Google Buzz. Light weight and easy to use, I leave it running in the background almost all the time. Twitter is easy to use, and my only problem is that lists are only accessible through your own profile. Normally I spend all my time in my lists. I find I use Twitter on Seesmic more for conversations than just watching the stream. This might be more Optus’s fault than the applications though. Google Buzz on Seesmic is ok, but the user experience on My6sense is better. But I do use Seesmic as my main Twitter client, so despite it’s faults, it must be doing something ok.